The Invest Local Book Blog. : How can I help this UK couple buy a business? 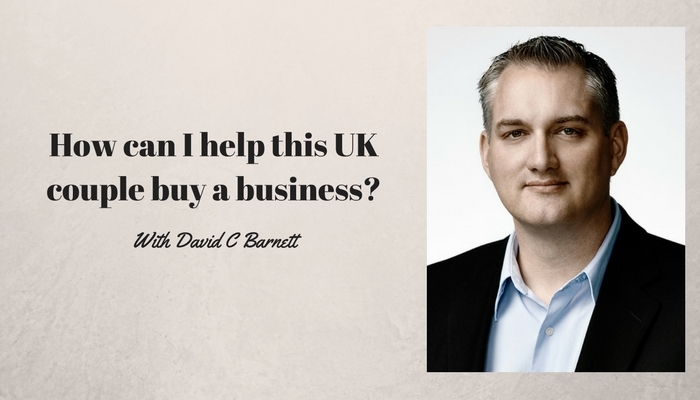 I received a wonderful e-mail from a UK couple asking for my help to buy some businesses. I currently run a catering company with my wife and we would like to build a portfolio of companies around this business focused on Events Management - I also have experience in the Pharmaceutical Industry and would like to explore opportunities in that sector as well. It always feels great to read that my work is appreciated. In fact, it’s for people like this UK couple that I created my Business Buyer Advantage program over two years ago. It takes my day-long workshop and makes it into an online course that students can study at their leisure. Sign yourself up to my weekly e-mail list and get these videos a week before anyone else. Sign up to the left.